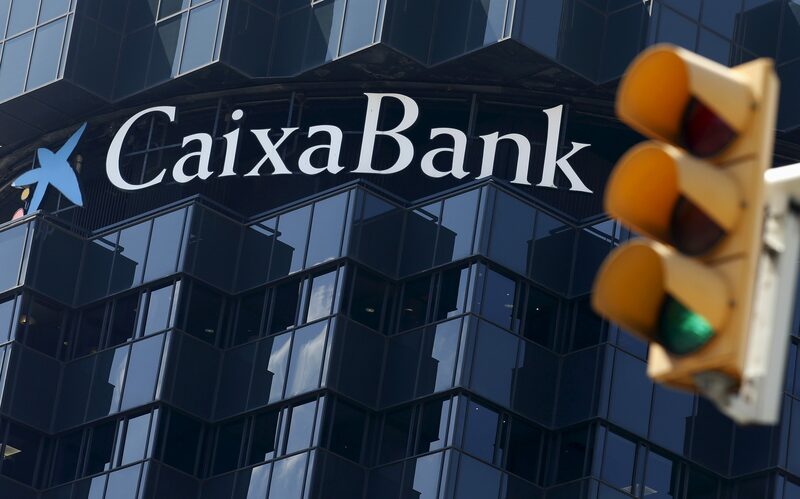 CaixaBank's logo is seen at the company's headquarters, next to a green traffic light, in Barcelona, Spain, April 18, 2016. Spain's Supreme Court said it would review a ruling on mortgage stamp duty on Oct. 19, a day after stating that banks had to pay the tax, sparking a sector-wide selloff. The court said that as the ruling was a "radical change" in its criteria and had an "enormous economic and social impact", a senior judge agreed to suspend all pending appeals on the matter, Reuters reported. Shares in Spanish banks fell sharply on Oct. 18 after the court said lenders must pay stamp duty on mortgage loans which had previously been paid by customers, raising the prospect of potentially billions of euros in compensation. “The Supreme Court states that the person who must pay the stamp duty in the public deeds of loans with mortgage guarantees is the lender, not the one who receives the loan,” the court said in a document, cited by Reuters on Oct. 18. After the court ruling, shares in Bankia fell more than 7 percent, while Banco Sabadell and Caixabank fell 6 percent and 5.5 percent, respectively.